Ausgezeichnet mit dem Bernhard-Wicki-Preis – Festivalteilnehmer von Valladolid und Hof: Marie Noëlles und Peter Sehrs tief bewegendes und faszinierendes Historienepos um Liebe, den Glaube an die gerechte Sache und die heilsame Kraft der Familie. 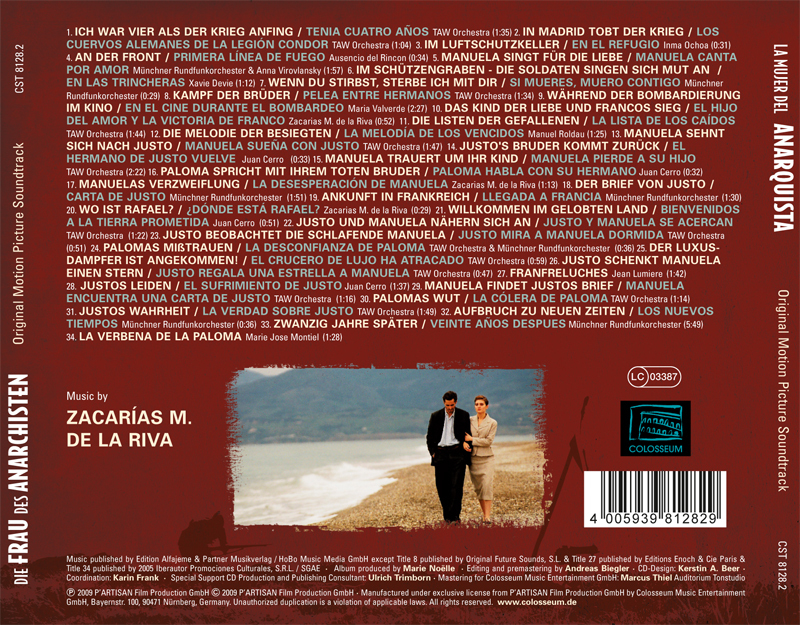 The soundtrack compiles the extraordinary and intensive compositions of Zacarías M. de la Riva with original historical songs from this turbulent age and includes María Valverde’s heartwarming song from the cinema in Madrid during the bomb attack. Zacarías M. de la Riva, undoubtedly one of the greatest new talents in film music scoring, unites and innovates his Spanish music roots into the score. Since the movie flies through many years and two different countries, we needed the music to be a unifying tool which supports the romance and drama of Manuela and Justo’s story. The music, however, never becomes too overwhelming. I never felt we needed a big orchestra and at times just a string quartet or a guitar solo worked fine. We ended up using a 36-piece orchestra and a string quartet plus flute, harp and clarinet. The piano, the guitar and a soprano voice have important roles too. He composed his first scores for different short films, and his first feature film ‘JAIZKIBEL’ (by Ibon Cormenzana). In 2000, he moved to Madrid and started his collaborations in the industry with Juan Bardem, Álex Martínez and Roque Baños. 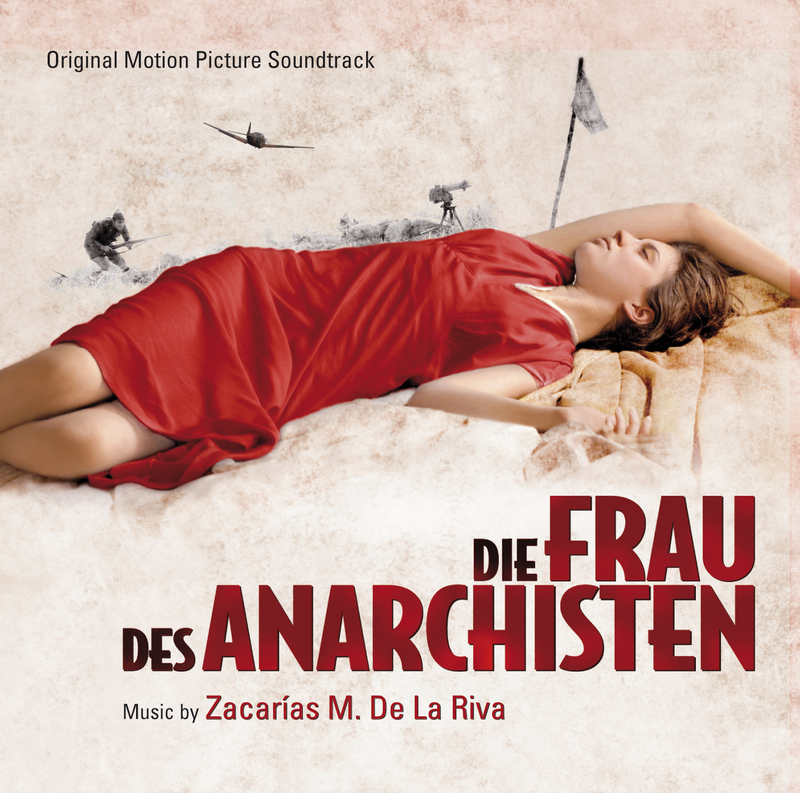 In 2007 he met Marie Noëlle and Peter Sehr and started the composition for his movie THE ANARCHIST’S WIFE. In 2008 he composed the music for Brazilian Road Movie, CARMO. In 2009, his latest work is the score to thriller HIERRO, directed by Gabe Ibáñez and produced by Madrugada Films and Telecinco Cinema.